As much as I favor preserving open space and farmland in this highly populated state of New Jersey, there’s something exciting about watching the construction of a new house. Lumbering earthmovers rumble up the street and onto the property to dig out a basement. A foundation of concrete or concrete block is laid. Hammers pound, saws buzz, workers shout and laugh. A floor covers the foundation and walls rise. Roof trusses go up. The house begins to take shape. The roof is shingled, windows installed, steps added, and the exterior walls are finished with siding, brick, stone, or stucco. Utilities are connected. The interior is finished, a driveway put in, and landscaping completed. From an empty lot or – in the rural area where I live – a field, springs a dwelling for people. I had to smile. Tom is his older brother’s name. I finally saw his logic. He’d learned in Bible School that God created people, and he had extrapolated that concept, figuring that each time a new house was built, God created new people to live in it. I loved the image. Time enough when he was older to explain the reality. Both my sons are now adults, and down the street, another new house is under construction. I once again have the opportunity to watch the digging of a hole for the basement and the pouring of the concrete foundation and to wonder what the finished house will look like. A few days ago, as I envisioned possibilities for the new house and the future neighbors, I reflected that the process of constructing a house has a lot in common with the process of creating fiction. Before the first clod of dirt is overturned, a lot of thought and planning goes into the building of a house. The builder must decide the size and style of the house, the placement on the lot, the materials, and much more. Permits must be obtained, subcontractors arranged, and legal business attended to. Much time must be spent in planning and organization before any physical work begins on the lot. In the same way, a writer prepares before creating a story. The writer decides on a genre, a length, a concept behind the action, and a theme – what he wants to say or the point she wants to make in the story. These serve as a springboard for the story. Time spent thinking is vital to creating a good story. So, to all our friends and families – we are not just staring out the window for no reason! The stability and longevity of a house depends upon the sturdiness of a well-planned and executed foundation. Every house is built on a foundation, which must support and bear the weight of the building. If the foundation cracks, buckles, or sinks, the homeowner has a serious problem. Two things are essential for constructing a firm foundation for a story. First, a cast of vivid, well-rounded characters with desires, goals, fears, and relationships that result in conflict. Second, a distinct, completely visualized setting in which the characters will act. The more fully a writer knows the characters and the setting, the more alive the story will feel to the reader. 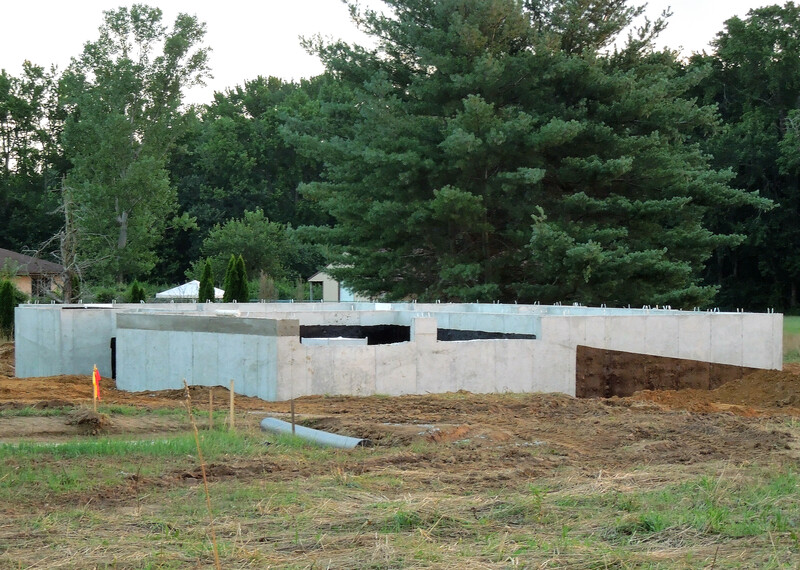 You can’t tell much about what the finished house will look like from studying the foundation. Once the framework is completed, however, you can begin to visualize the shape and size of the dwelling. The lattice of two-by-fours or two-by-sixes built upon the foundation and floor and topped by the roof trusses creates an outline of the house. For a writer, the plot is the framework from which the story is constructed. Using the concept and theme, the cast of characters and conflicts, and the setting he/she had developed, the writer can now create the starting point and the events that drive the story to its conclusion. Some writers prefer detailed outlines; others use outlines so sparse they barely fit the term. The type of outline a writer should use is whichever type works for that writer’s particular method of creation. One note here. Avoid creating a plot first and forcing characters to fit into it. When a writer makes the characters do things the writer wants to happen in the plot rather than what the character, according to that character’s established personality, would naturally do, the book suffers from a disconnect with the reader. If the disconnect is too great, the reader will put the book aside and not return to it. To avoid this, let the events naturally flow from the characters and their relationships and conflicts. If this method doesn’t lead to the conclusion you want, make changes in the characters’ personalities or change the ending! Putting in time in these first three steps is not necessarily easy and may sometimes feel tedious. But the payoff is this: the more time spent in planning and preparation, the easier the remaining steps in the process. This stage moves the dwelling from the minimal outline of a building to a solid, enclosed space, ready for the final touches before a family moves in. The roof is shingled, the walls go up, the windows and siding are installed, the plumbing and utilities are hooked up. A house now stands on what used to be a vacant lot. This step, for a writer, is the glue-yourself-to-your-seat-and-write-until-you-complete-the-first-draft stage, when the ideas, characters, and setting are melded together to fill out the framework and create the story itself. From beginning to end, the story is written, and when it’s done – hallelujah! BUT … the process is not quite completed, the story not yet ready to be handed over to readers. The construction has ended. The house is finished … almost. Now comes the embellishment, the addition of all those details that truly complete the job: wood flooring, carpeting, or tiles are laid; light fixtures, railings, closet shelves, cabinets, bathroom fixtures, and appliances are installed; walls are painted or papered; landscaping is completed – all done in close consultation with the future homeowner. This is the step that truly makes a house a home. For a story, the finishing touches involve analyzing and evaluating, making additions, corrections, and deletions, and polishing, polishing, polishing! This is the time for revision, editing, and proofreading, the time when the writer examines the creation as objectively as possible and strives to make the improvements that will result in a truly stellar creation. Since it’s hard for anyone to be objective about her/his own work, seeking feedback from a writers group, critique partners, or beta readers is helpful. For aspiring writers, subsequent consultation with a reputable editor can also make the difference between acceptance and rejection by a publisher or agent. Then the writer can complete the final polishing and the finished work is at last ready to meet the public. So, fellow writers, how is your story construction coming along?